Welcome to our Fun In the Summertime Series! You can find the rest of the posts here! 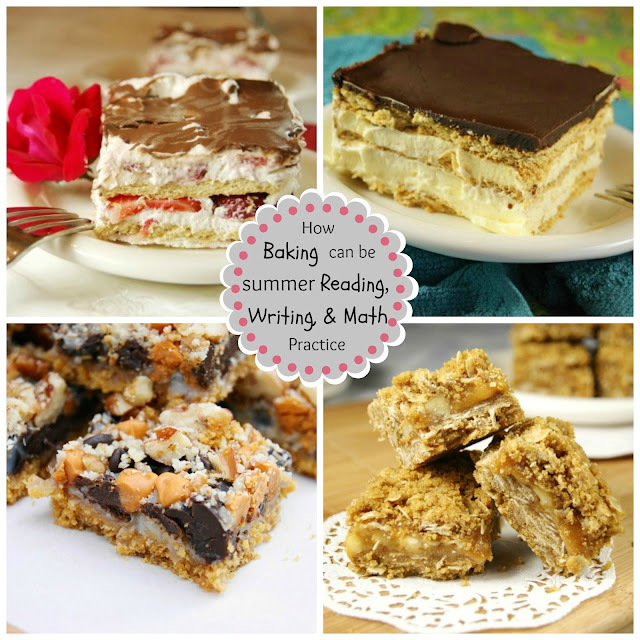 You're going to love this roundup of Summer Activities I've put together for you. I have three kids home for the summer, and I don't think I could ever find enough ideas to keep them busy (without breaking the bank!) Read on for some fun (and frugal) activities to keep your kids entertained and you worry-free! 1. Free Summer Reading Programs from Frugal Living Mom. My kids LOVE to read, so I'm all about earning free stuff along the way! These are also great motivation if your kids don't enjoy reading. 2. 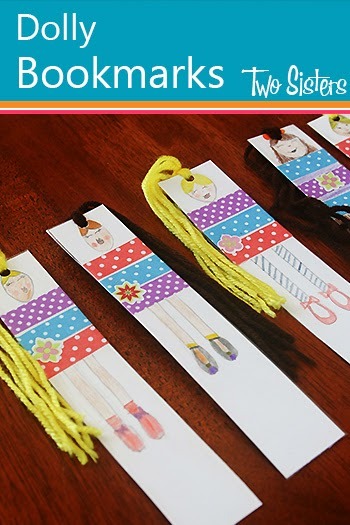 Dolly Bookmarks from Two Sisters (Review Books). So sweet and easy! 3. 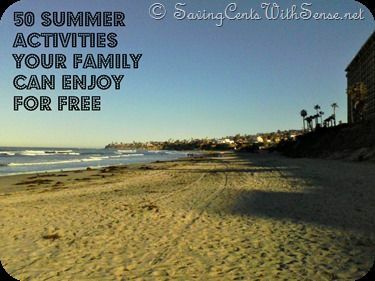 50 Summer Activities your Family Can Enjoy For Free from Saving Cents with Sense. So many of these are perfect for my family! How about yours? 4. Fly Swatter Painting Kid's Craft from Glued To My Crafts. I know two little boys who love to hit things! At least now I can make that impulse into art! 5. Surprise Rocks/Dinosaur Dig from The Kitchen Is My Playground. What a great idea! I want to do this in secret so my kids are truly surprised! 6. DIY Kiddie Car Wash from Mom Endeavors. Anything to help keep cool is a bonus in my book! 7. Summer Backyard Chalk Activities from In the Playground. Saying yes to drawing on the house? Your kids will love you for it! 8. 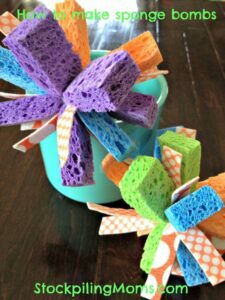 DIY Sponge Bombs from Stockpiling Moms. Again- harness your kids' love of throwing things! 9. Free (or Cheap) Online Summer Camps from Frugal Living Mom. I'm a cheapskate, so this is right up my alley! 10. 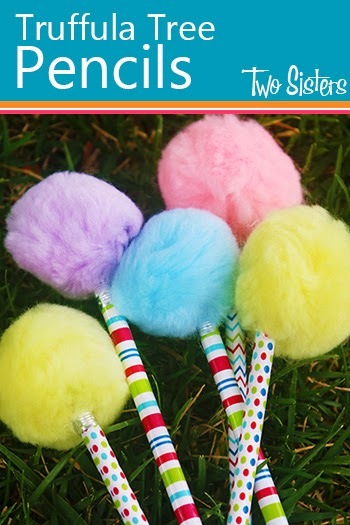 Truffula Tree Pencils from Two Sisters (Review Books). I love making things to go along with favorite books. 13. 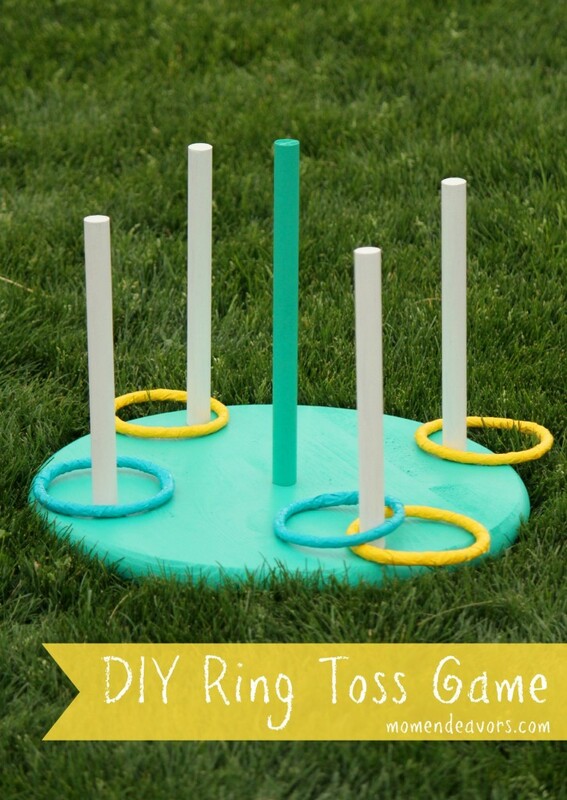 DIY Ring Toss Game from Mom Endeavors. This would keep my kids entertained for hours. 14. 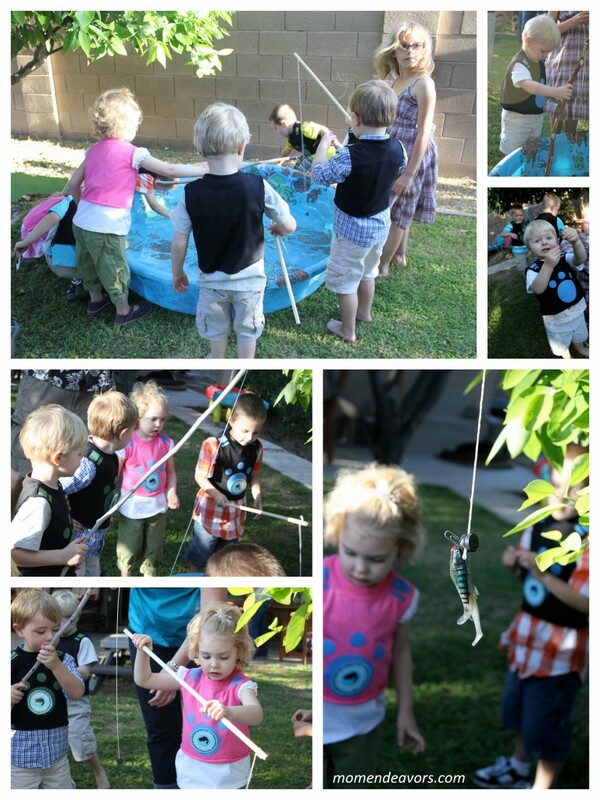 10 Fun and Free Activities for Kids in the Garden from In the Playroom. I don't have a garden but I do have lots of space for one! 15. 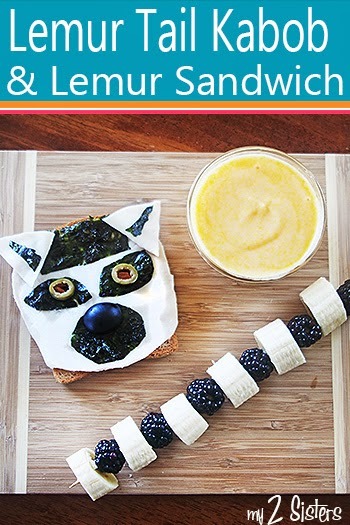 Lemur-themed Food from Two Sisters Review Books- perfect for any of the Madagascar movies! 16. Backyard Fishing Activity from Mom Endeavors. What kid doesn't love fishing- especially if it doesn't involve having to bait a real hook? I hope that helps you get started on an awesome summer! Which one are you dying to try out first? Thanks for including our link! Happy to! You have great ideas! What a great roundup! Pinned. Oh my goodness, my daughters has four children, and she would love to know about this Post that's for sure. I can't wait to email her this link. Thanks for sharing. These look like some very fun activities for kids to do! I will share this with my sister and we'll do some of these when my niece gets a bit older! Awesome post and thanks for sharing! Great activities for keeping the children busy and learning. Playing is much and important part of learning. 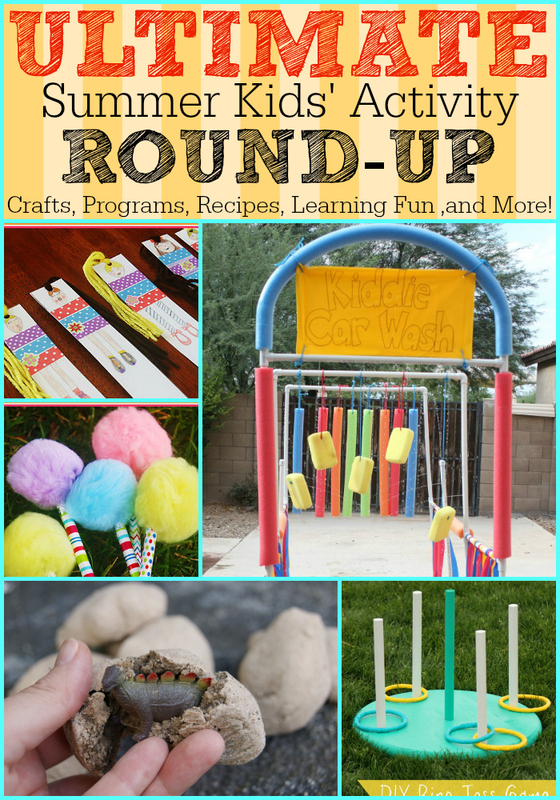 What a great round up and think your activities would appeal to children of all ages! I know they do to me! I love these ideas. I have SIX kids in my house during the summer and it's pretty much impossible to keep them entertained. I really like that swimming pool fishing idea!!! My nephews would absolutely go bonkers over that kiddie car wash thing! How awesome. Look at all these fun summer activities! No more excuses for boredom!!! These are some awesome ideas for summer time fun for the kids. I love the idea of doing the dinosaur eggs without the kids knowing. I will have to do this for my nieces kids for sure. Thanks for sharing. This is so much fun my kids would love this brilliant idea, they would be enjoyed it. The surprise rocks / dinosaur would surely delight them. The fly swat painting would bring out their creative juices. You really have a lot of activities set for the kids for summer. 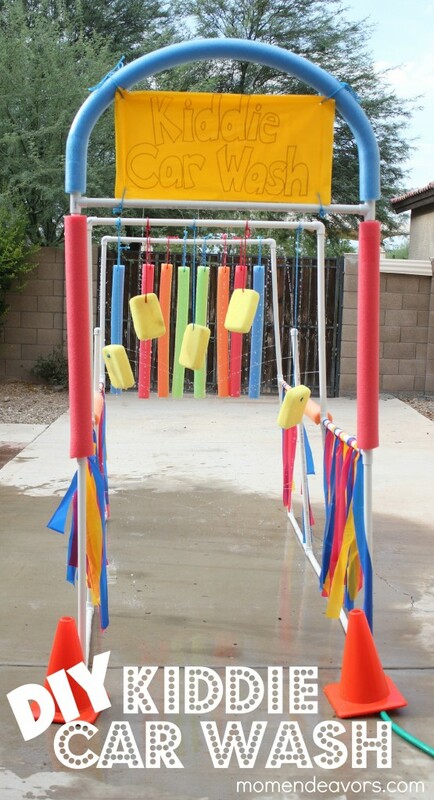 I love the carwash idea! This is the first time I'm seeing it, can't wait to try it. What a great round up! Today was my daughters last day of school & I'm going to need all the activity ideas I can get! Great round up! I'm glad because I've already been struggling to come up with ideas! I'm totally loving the ring toss game and the carwash. Summer is going to be fun this year! Among all these activities, I think my daughter and my nieces would enjoy the Kiddie car wash the most.